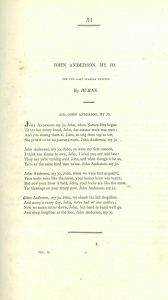 This song, which many associate with the tenderness of a couple growing old together, has a previous bawdy version which was published in the Merry Muses of Caledonia. 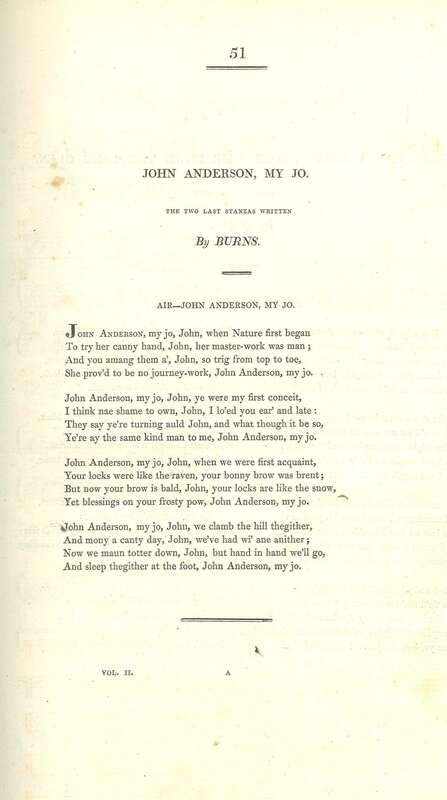 This setting of Burns’s much beloved love song first appeared in Thomson’s 1826 edition of the Select Collection which included a number of new musical settings by the German composer Carl Maria von Weber. 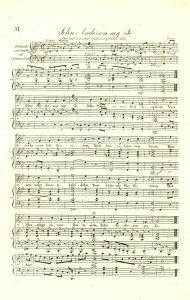 Thomson was very pleased to have been successful in commissioning Weber who was well known and who also had a deep interest in folk songs of his own area of the Rhine. He set 12 songs for Thomson including Burns’s ‘O Poortith cauld’, ‘O my love’s like a red, red rose’ and ‘John Anderson my jo’. 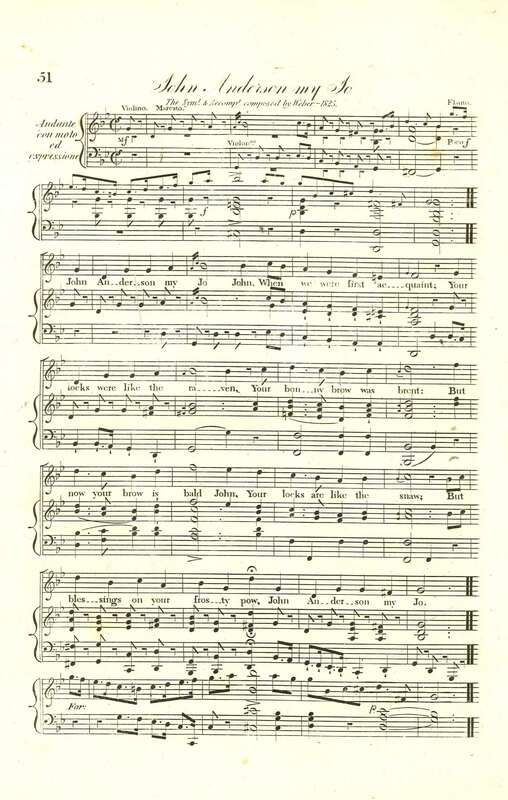 This one had already appeared in 1799 with a setting by Kozeluch, but Weber’s approach is much more lyrical and ‘Romantic’. 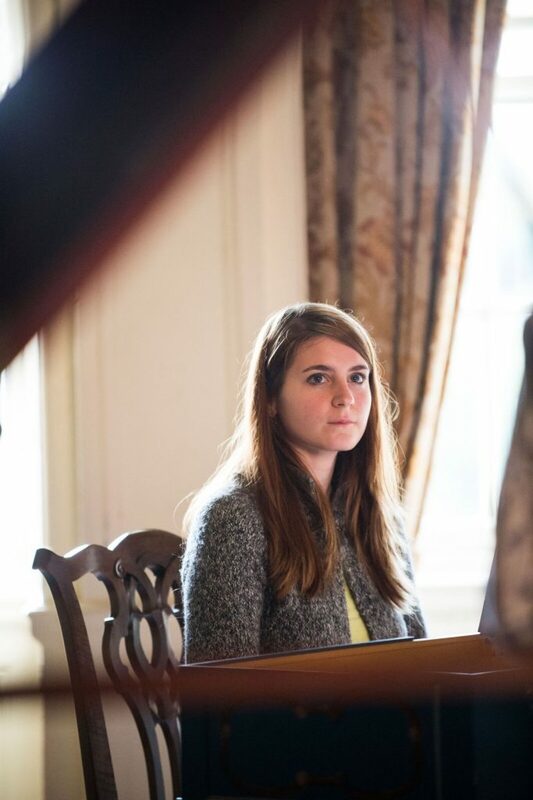 There is a separate flute part for this setting, though it wasn’t possible for us to use this due to pitch problems with our fortepiano.